The World Wide Web in 2003 is beginning to fulfil the hopes that Tim Berners-Lee had for it over 10 years ago when he created it. The web was never just supposed to be a one-way publishing system, but the first decade of the web has been dominated by a tool which has been read-only – the web browser. The goal now is to convert the web into a two-way system. Ordinary people should be able to write to the web, just as easily as they can browse and read it. In 2001 Dave Winer built a website called The Two Way Web, which articulates a vision of publishing where the “content and the editing environment (are) totally integrated”.  My vision of the “Read/Write Web” is similar, but I like the read/write metaphor for a couple of reasons. Firstly I like to read books and I enjoy the art of writing. The other reason is that read/write as applied to the computer industry traditionally means “capable of being displayed (read) and modified (written to)”. For example a floppy disk drive. So the term “read/write” cuts across both computing and journalism/literature. In the early 90’s Tim Berners-Lee envisaged an editable browser that would not only allow people to surf the web, but to modify it. First Mosaic, then Netscape, then Microsoft all produced web browsers that accomplished the browsing part – but did not allow editing. The browser manufacturers also made it difficult for people to publish to the web because each browser had its own web standards, which were incompatible with each other. If a non-technical person wanted to publish to the web in the 90’s, they had to use a separate tool to the browser – such as Microsoft Frontpage. Then there was a technical learning curve to overcome. OK so HTML isn’t hard to learn, but throw in curveballs such as conflicting browsers, quirky webpage creation tools (Frontpage webbots anyone?) and competing usability ideologies being preached by the likes of Jakob Nielson and David Siegel. You begin to see that “writing” to the web wasn’t as easy as it could have been, and certainly fell short of what Tim Berners-Lee envisaged. It has only been in the past couple of years, with the advent of weblogs, that an easy method of publishing to the web has become available. Products like Radio Userland, Movable Type and Blogger help people set up a web presence by giving them templates to enter their content into and a simple “point and click” method of publishing it. With weblogs, ordinary people now have the opportunity to contribute their thoughts and opinions to the World Wide Web, in conjuntion with browsing the web. We are approaching a read/write web. The Read/Write Web isn’t just about being able to publish writing though, it is also about an increased ability for ordinary people to interact and transact with websites. For example most corporate websites used to be brochureware sites. Information the company presented on their website was one-dimensional and similar to a printed brochure. In the past few years, company websites have evolved so that users can interact with the site and (the next step up) transact with it. For example, on my telephone company’s website I can now view the details of my telephone bill and request a new phone line via an online form. This is another example of being able to “write” to the web – my online relationship with my phone company is two-way. The Read-Write Web is being enhanced by new XML technologies such as RSS. I can subscribe to various RSS “feeds” from my favourite weblogs like Dave Winer’s Scripting News and Jon Udell’s Radio. This is what is called “Publish/Subscribe” – Dave and Jon publish their content via an RSS feed, and I subscribe to it via a news aggregator such as Feedreader. There are many other XML technologies that promote the Read-Write Web – such as content management systems, RDF, IM, OPML. I will explore these in more detail in future articles on my weblog. The Read/Write Web means that ordinary people can now easily publish their 2 cents to the World Wide Web. A corollary of this is increased sources of information to read on the web. Previously people got their news and information from sources such as newspapers and magazines. Now people can get their information ‘straight from the horses mouth’, in addition to traditional media. The Read/Write Web encourages people to broadcast their specialist knowledge so that anyone can tune into it – witness the recent popularity of lawyer and librarian weblogs. The web is now much like the CD Writer found in most modern computer desktop packages. It can be browsed and read, plus written and recorded to. With weblogs and other XML technologies, we can easily publish information to the web and interact with other websites. The Read/Write Web is the next generation of web publishing, and we’re in the middle of creating it!